"China's Nationalist government withdrew to Taiwan following its defeat by Mao Zedong's Communists in 1949. 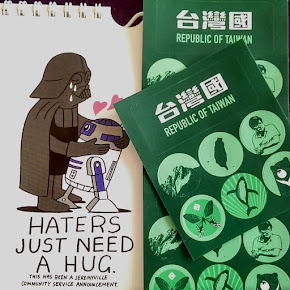 Despite losing control of the mainland, the Nationalist government maintained it was the legitimate government of the whole of China, through the Constitution of the Republic of China adopted in 1946, and established its capital in Taipei in the north of Taiwan. 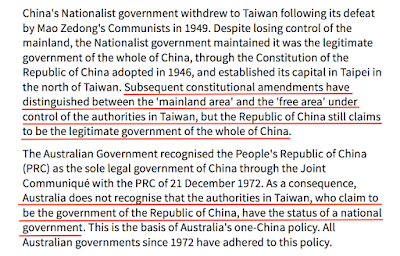 Subsequent constitutional amendments have distinguished between the 'mainland area' and the 'free area' under control of the authorities in Taiwan, but the Republic of China still claims to be the legitimate government of the whole of China." 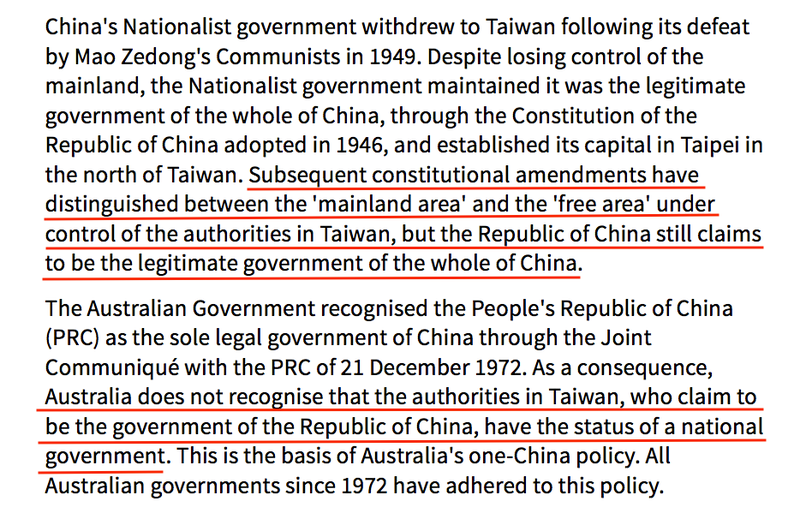 Key sentence: "but the Republic of China still claims to be the legitimate government of the whole of China." 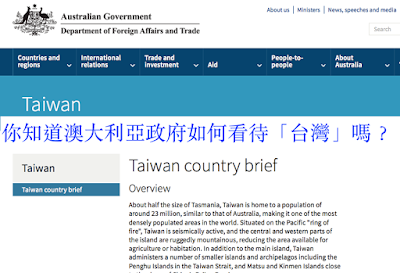 "The Australian Government recognised the People's Republic of China (PRC) as the sole legal government of China through the Joint Communiqué with the PRC of 21 December 1972. 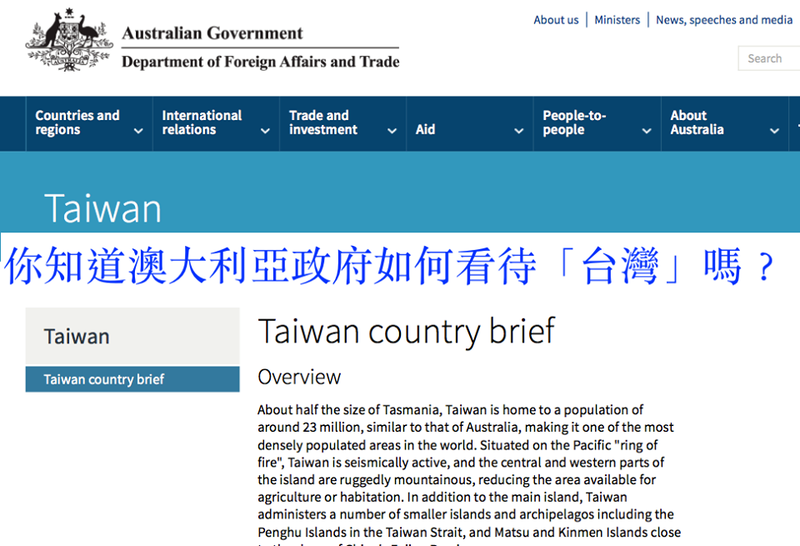 As a consequence, Australia does not recognise that the authorities in Taiwan, who claim to be the government of the Republic of China, have the status of a national government."